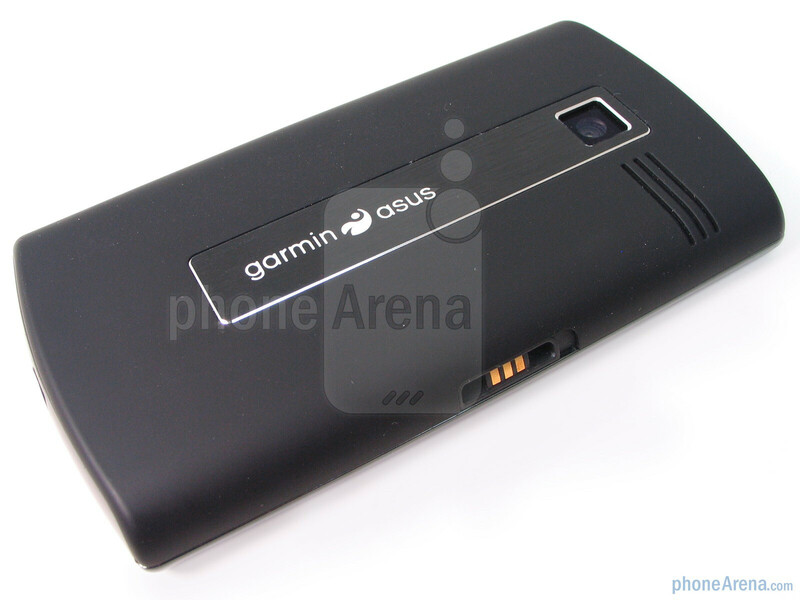 The Garminfone is also available in Europe as the Garmin-Asus nuvifone A50. It's round two for Garmin-Asus after their first venture into the US smartphone realm proved to be unflattering as their Garmin Nuvifone G60 handset for AT&T fizzled out quickly after being left in the dust by some other devices. 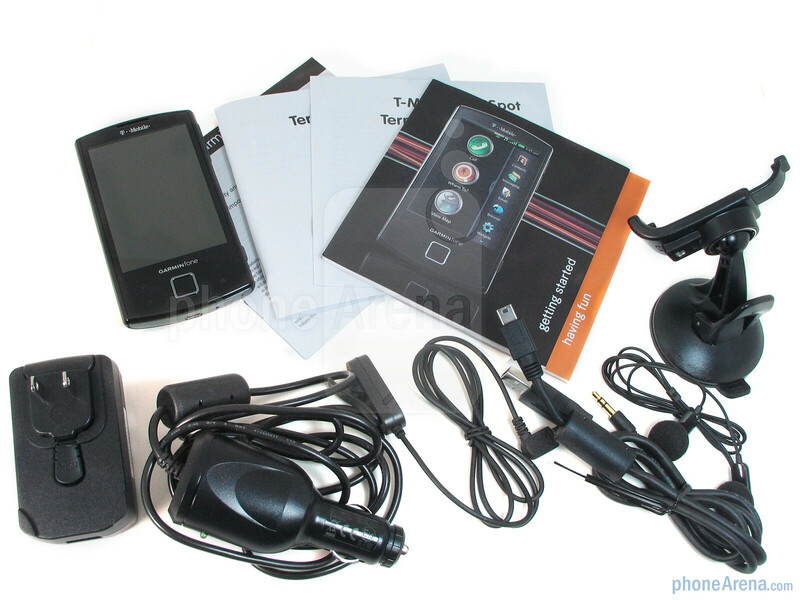 It's hard to look back and wonder if that phone was truly considered a smartphone as it didn't offer any of the big name mobile operating platforms, but instead opted to offer its own unique spin with its Linux based platform. T-Mobile has its hands on the second offering as the Garmin-Asus Garminfone is looking to catch a ride on the Android wagon and its growing surge in use among consumers. Always supplanting itself as a top tiered GPS manufacturer, the Garminfone will need to excel over its sour beginnings if it intends on being a force in the smartphone world as it's already crowded with a mix of manufacturers trying to get their piece of the pie. There's already a lot at stake with this launch as this might ultimately prove if Garmin will have a place in this competitive market or just stick to what they do best – making standalone GPS devices which is looking to become a dying business. 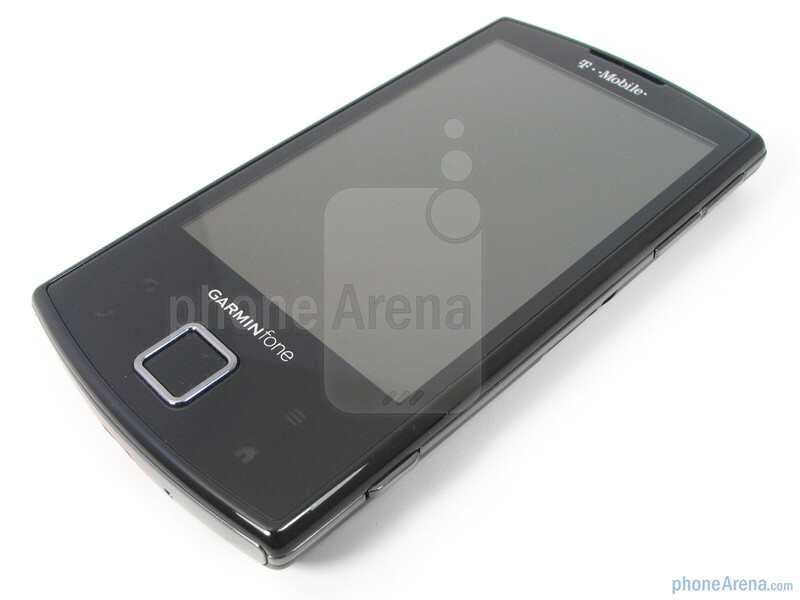 Similar in design to the Nuvifone G60, there's a sense of ruggedness to be found on the Garminfone as it employs a lot of design elements found on some of their line of standalone GPS devices. Although it doesn't exactly sport an innovative design, the slate like look of the handset is fitting as it's constructed mostly out of plastic and highlighted with some chrome-like accents on its sides – while the soft touch coating on the rear provides for that sturdy feel. The average sized device doesn't look or feel too bulky (4.90 oz) in the hand as its plastic exterior does make it feel rather natural and comfortable to hold. When it comes to sheer durability, we'd imagine that the Garminfone can withstand the usual normal wear and tear like scratching thanks to the soft touch coating, but we found the rear cover coming off on some occasions when dropping it onto the carpet from a height of 3 feet. 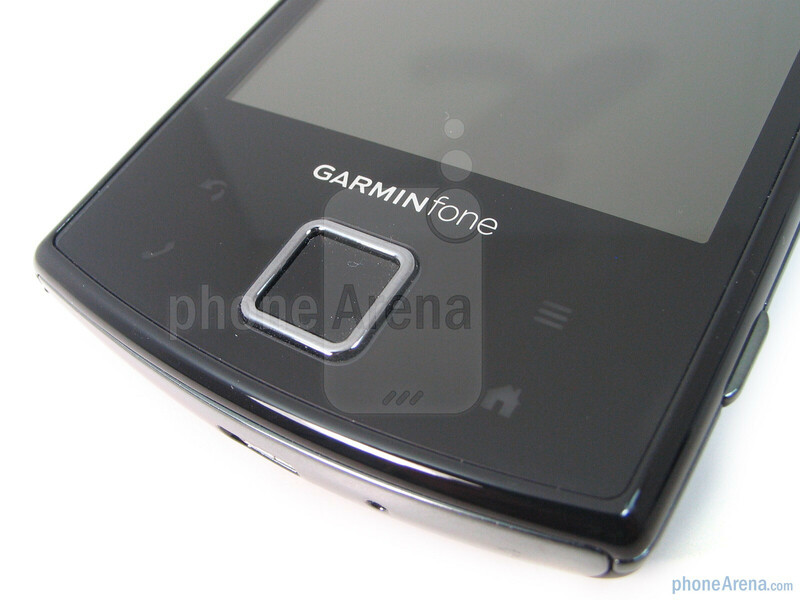 You can compare the Garmin-Asus Garminfone with many other phones using our Size Visualization Tool. By no means is it the sharpest display out there, but the Garminfone's 3.5” HVGA (320 x 480) display has support for 262k colors – which does well in producing realistic colors, but lacks the fine detail as text can sometimes have that jagged look to it. Since it doesn't utilize the resistive tech found on the Nuvifone G60 and their line of GPS devices, the capacitive touchscreen is pretty responsive to the touch and works accordingly with Android. Seeing that one would think that it will be primarily used in a car for navigation, it allows for some good viewing angles which enable you to see what's on-screen from almost every angle. Even as we used the handset outside and in direct sunlight, we were still able to see the display without much difficulty. There's a sizable amount of real-estate found directly below the touchscreen where the d-pad and touch sensitive buttons are located. 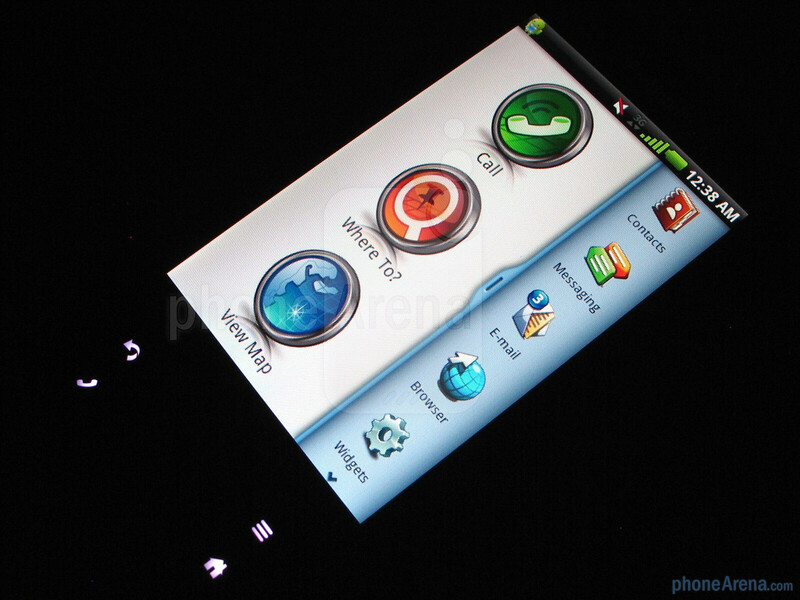 The latter of which are your typical buttons found with the Android platform – these include the back, call, menu, and home buttons. We're glad to see that there is ample spacing between them and the touchscreen which made accidental presses come in at a minimum. We also found the directional pad to be appropriately sized and responsive while pressing down the middle button accomplishes a selection. 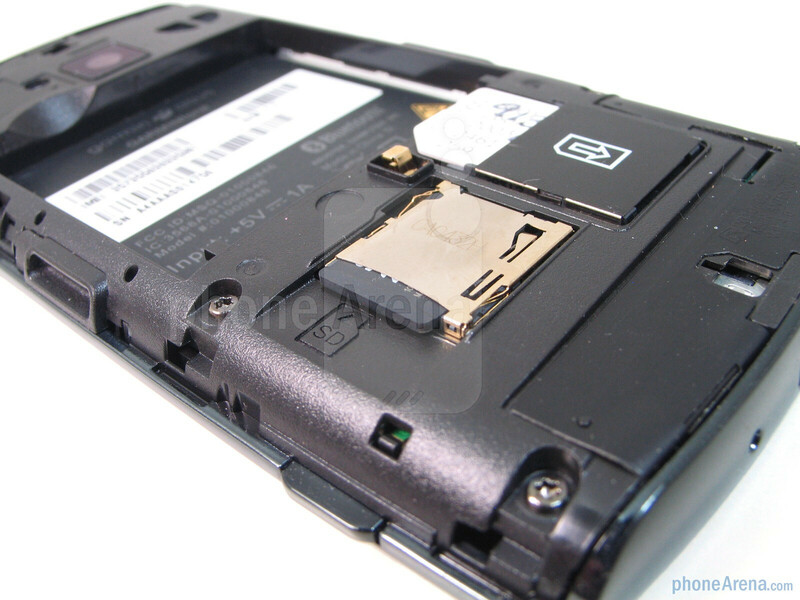 The right side of the handset houses the volume rocker and two-level shutter key – both of which are raised, but feel extremely stiff when pressed. There's also a notch found on both the left and right edges where the included dash mount latches onto it and charges the phone. All by itself on the top edge is the well sized and tactile power button while the miniUSB port for charging/data connection can be found on the bottom. Flipping it over to its rear, we're presented to the 3-megapixel auto-focus camera and speakerphone. 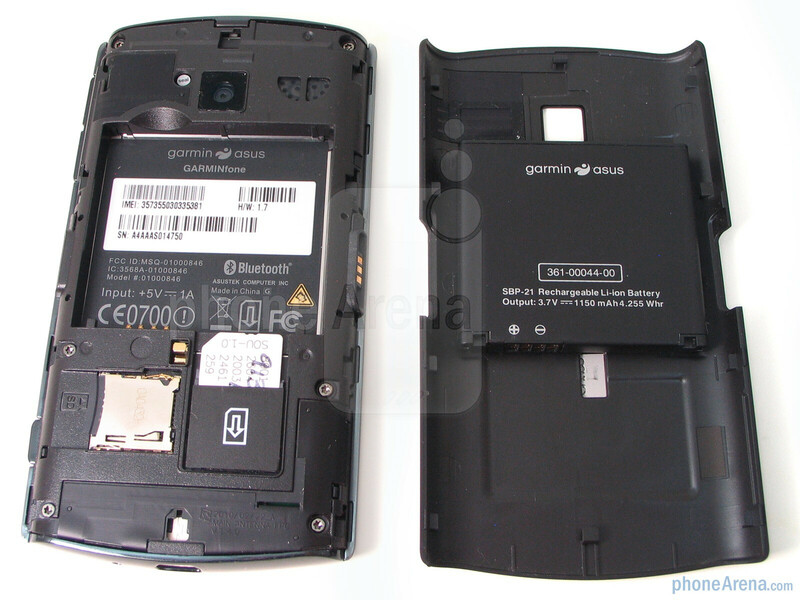 Removing the rear cover can be accomplished by sliding it in one direction where it'll provide you access to the battery, microSD card slot, and SIM slot.